Does our day-to-day work have any ultimate value from the perspective of eternity? Should our work be seen as a discipline through which we connect spiritually with God and others? Is ordinary work the primary way we can participate in God's mission to make all things new? 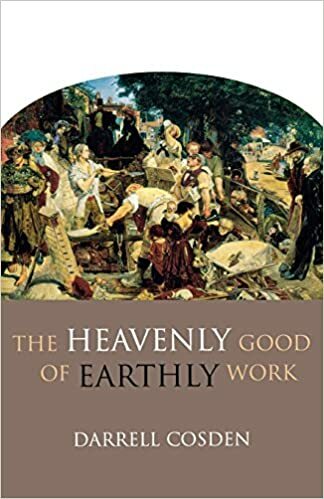 What is the heavenly good of earthly work? In this book, Darrell Cosden takes us on a spiritual and theological journey of discovery, exploring these questions. Creatively, constructively, and sometimes provocatively, he shows us that the heavenly good of earthly work really makes the gospel good news for ordinary people by offering the possibility of a genuinely purpose-full Christian life. The Heavenly Good of Earthly Work is available in bookstores, on Amazon and on other online sources.